​ZenWorks wishes its clients, partners and friends in the global licensing communities a prosperous 2018. 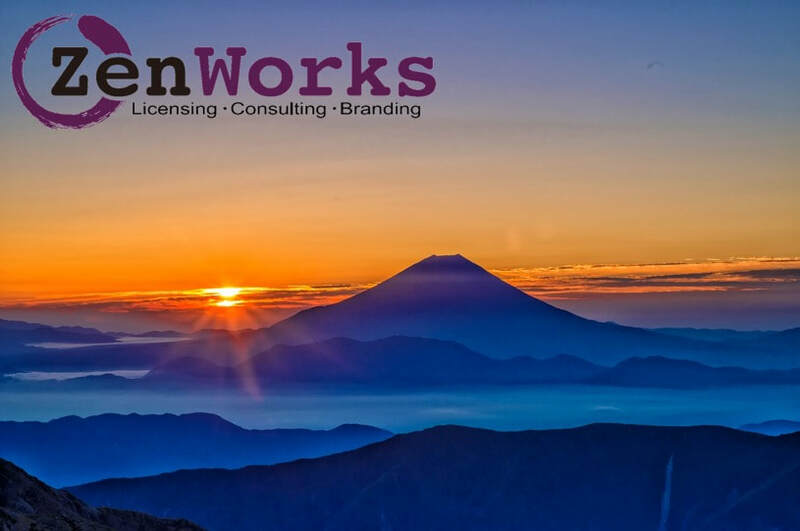 ZenWorks wishes its clients, partners and friends in the global licensing communities a prosperous 2018. This is our 8th year of business and we thank all our business partners inside and outside of Japan and the wider licensing community for their support. We look forward to continuing these relationships and making new ones in 2018. As is our tradition, instead of sending out individual new year cards, we donate equivalent funds to a worthy cause. This year, ZenWorks charity of choice is Mirai no Mori, a not-for-profit organization that creates life-changing outdoor programs for abused, neglected, and orphaned children in Japan, supporting their growth into happy and successful young adults. Many of you know I am a runner, and in December I ran my longest distance ever, 55 km along the Arakawa River to Kawagoe for an charity ultra run to benefit Mirai no Mori. ZenWorks will continue to support Mirai no Mori in 2018 as part of its CSR activities. ZenWorks re-opens for business on Friday 5 January. That day I will travel to Hong Kong for the Hong Kong Licensing Show, returning to Japan on 15 January. No doubt, as in 2017, that will be the first of many overseas trips. Even in this social media centric age, licensing continues to have a strong analogue element where face-to-face business activities define much of who we deal with. ●Licensing: ZenWorks, together with Brandog Co., Ltd, became the Japan licensing sales agent for the UK's Victoria & Albert Museum (V&A). This year V&A will exhibit at Licensing Expo Japan (Tokyo Big Sight; 25-27 April) and we look forward to welcoming you to see the latest V&A licensing initiatives. ●Consulting: In 2017 ZenWorks assisted companies, large and small, to develop their licensing business in new markets abroad. This year we will continue to provide high quality consulting services to IP holders seeking to introduce and maximize business opportunities around the world. ​●Media: (1) In 2017, ZenWorks entered into an Asian market PR business partnership with Kilogrammedia from the UK. This year ZenWorks will offer Japanese and Asian companies specialist PR services to help them get their message out! 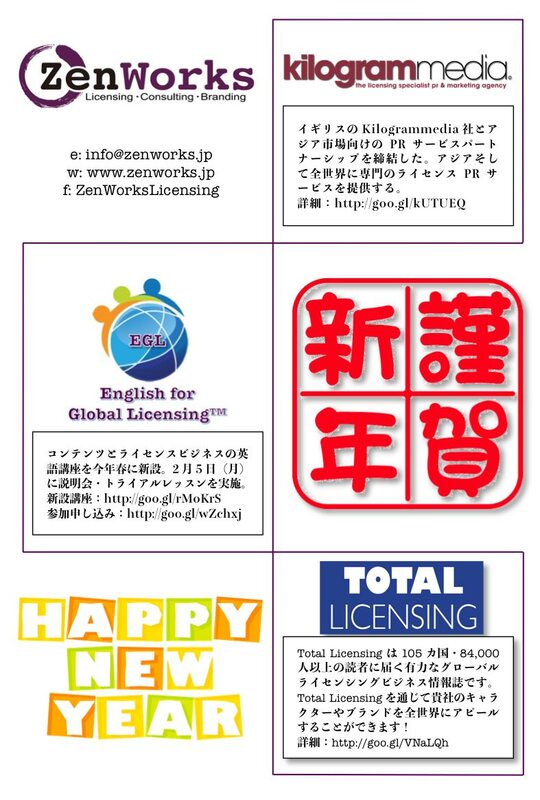 (2) During 2017, ZenWorks was pleased to represent Total Licensing, the global licensing business magazine, at major regional trade shows such as Licensing Japan, Korea Character Licensing Fair, Korea ACE Fair and Japan Contents Showcase in Ikebukuro, Tokyo. This year, Total Licensing will once again be present at Licensing Japan (Tokyo Big Sight; 4-6 April) and other content-related trade fairs. ●Education: English for Global Licensing™ has served the Japanese licensing community with English-language communication skills training for the last 8 years, and its popular regular class has now been running for 2 years. As a precursor to a new set of classes starting from Spring 2018, we will conduct a briefing and trial lesson on Monday 5 February. More details and registration here.